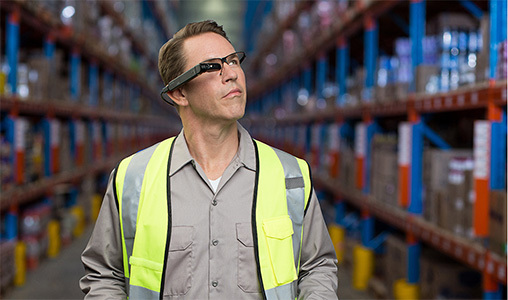 To help mobilize frontline and field workers, as well as improve business outcomes for organizations implementing the dynaEdge™ AR Smart Glasses, Toshiba offers a broad portfolio of complementary AR software options, including its own Toshiba Vision DE Suite™ software. This collection of software is ideal for Remote Expert, Manufacturing, Logistics and Knowledge Transfer use scenarios and is essential to the functionality of Toshiba’s innovative AR solution. Want to Become a Software Partner? 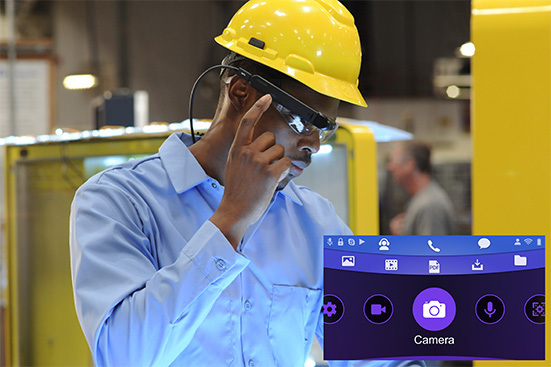 As the perfect complement to the dynaEdge™ AR Smart Glasses, Toshiba Vision DE Suite™ is the software engine designed to realize the essential functionality of Toshiba’s innovative AR solution. For fast and easy navigation, device functions are grouped into three color-coded menu categories: Communications, File Viewer and Tools. From these three menus users can take photos, record and stream live video, save and retrieve documents, access diagrams and receive text messages. Toshiba Vision DE Suite™ reimagines productivity and efficiency for enterprises. Atheer AiR™ Enterprise is a transformative cloud-based solution that delivers high-impact Augmented Reality (AR) use cases and a demonstrated ROI. Easy to deploy and even easier to use, Atheer AiR™ Enterprise has made AR real and ready. Atheer’s unique AiR™ technology connects your physical and digital workspaces and helps your people work smarter, faster and safer. AiR™ Enterprise is a breakthrough enterprise-class AR application bringing your team remote subject matter calling, access to contextual documentation and resources, step-by-step task guidance, barcode scanning and much more. Timer Pro offers a single integrated video-based solution to measure, identify and eliminate process waste to improve operation efficiency, reduce costs and document processes. Timer Pro Storyboards allow users to create detailed video-based training and support content using only their Excel skills. The software requires no video editing experience. Content creators can add audio, text, graphics and hyperlinks to the Storyboard directly in Excel. Once completed the Excel Storyboards are published as content-rich training and support videos that end users navigate via simple voice commands or touch directly on the Toshiba dynaEdge™ AR Smart Glasses. Timer Pro Storyboards are ideal for engineers and those with process knowledge to transfer that knowledge in a cost-effective and professional manner. Not only does Toshiba offer two fully equipped Developer’s Kits, but customers also have the freedom to customize the kit to meet their specific needs via additional batteries, charging options or even mounting accessories.